Learn about ERPNext free ERP software for small businesses. Includes info on ERPNext, free trials, pricing, customer reviews, and FAQs. 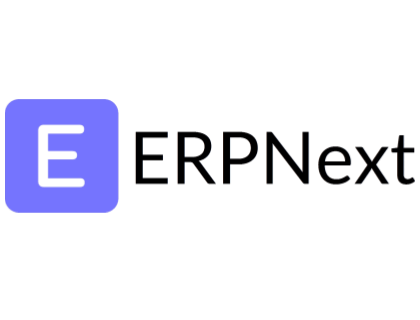 ERPNext is a cloud-based and on-premises enterprise resource planning (ERP) software. The free solution offers collaboration tools, project management, human resources, and inventory management. In addition, ERPNext also offers sales management tools. Pros: Affordable, open source, and user-friendly. Powerful reporting feature. Cons: Documentation and manufacturing tools need improvement. Implementation is complex. Bottomline: Solid choice! Easy to use and offers a robust reporting tool. However, the system's functions need improvement. What is ERPNext's price range? ERPNext plans range from $5.00 to $25.00 per month. Is there an ERPNext free trial? Yes, ERPNext offers a 30-day free trial. To access the free trial, go to erpnext.com and click 'Start a 30-day free trial' in the main homepage banner. What are some ERPNext alternatives? Where can I find the ERPNext login? Go to erpnext.com and scroll down to the footer menu. In the footer menu, click 'Member Login' or sign in directly at https://erpnext.org/login#login. Like to give a shout out to erpnext.. literally after looking for simple and comprehensive erp softwares for the last year, stumbled upon erpnext... loved its simplicity and the fact that it doesnt skip on the details... its as functional as you want it to be .. just implemented the software with some customizations and now updating my company data on it .. so far soo good.. its fast... nimble and easy to understand..
ERPNext is definitely impressive. It has its flaws but it’s nothing that can’t be improved with so much else to offer. Also, I think that the pricing plan set is very fair compared to what you get to do with it. I’d say you try it first and then decide to get it. ERPNext as an ERP is very usable to handle the healthcare process, It also provide it's users with necessary tools to extend and model their requirements and their workflow with ease.